This question has fascinated the best poker players for decades now. These reasons point us in a pretty good direction, but they are not completely accurate. Nowadays, with the help of recently developed software, we’ve seen that things are not so clear cut. We need to refine our reasoning. Perhaps the biggest stride in finding the true reasons to bet was made by poker theory expert Matthew Janda in his 2017 book No-Limit Hold’em for Advanced Players: Emphasis on Tough Games, which is also the inspiration for this article. NOTE: If you’re a Lab member, you get to learn valuable theoretical concepts straight from Mr. Janda in his module G.T.O. with Matthew Janda (in the Beyond Core Strategy section). If you aren’t a Lab member, you can click here to join. Unlike the two reasons that used to be conventional wisdom, these two are not mutually exclusive. Furthermore, you will find that the best situations in which to bet are the ones when both reasons are met. We raise first in on the Button to $6 in a $1/$2 6-max cash game. The player in the Big Blind calls and the flop comes K♦ 6♥ 4♣. The Big Blind checks and it’s our turn to act. Both hands are strong enough to bet for value on the flop given how wide the Big Blind should be calling our c-bet. You will get called by a lot of A-high hands, some Q-highs, and lower pairs (22-77, A4s, 76s, etc.). This means that both hands meet the first criteria for betting: to build a bigger pot in case we win. However, when we take a look at the second criteria, things start to diverge. Why? Simply put, betting with 88 will deny more equity from the Big Blind’s range compared to betting QQ. Let’s take a closer look at why that is. When we bet, the Big Blind will fold some hands in his range (such as the weakest A-highs and Q-highs, plus the lower high card hands like T9). When we hold 88, those hands have significant equity to draw out on us. For instance, QT offsuit has 27% equity against our 88 on the K♦ 6♥ 4♣ board. Forcing our opponent to fold a hand with 27% equity is a victory for us. 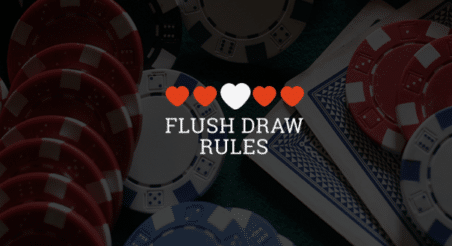 To put this into perspective, the nut flush draw (A♥ 6♥) has roughly the same equity against top set (K♣ K♦) on a K♥ 9♥ 7♠ board. According to PIOSolver, our opponent should actually call at some frequency with QT versus an optimally sized c-bet (~33% pot) on K♦ 6♥ 4♣. But that result is also a victory for our 88 because it builds the pot with our superior hand. When we bet, we make them fold a lot of hands that have solid equity against our hand, thus denying their chance to improve to a better pair than ours. It also denies them the chance to bluff us out of the pot when a scary card comes on the turn or river (and there are a lot more scary cards for 88 than QQ). Now you know why betting 88 is much more important than betting QQ in this spot, even though 88 is a weaker hand. This is reflected by solvers, which bet 88 at a higher frequency than QQ (pictured below). Note: The inputted pot size is 55, so a bet of 16 is a 30% pot-sized bet. The solver recommends betting both hands most of the time, but 88 is a bet virtually every time (97%) compared to “only” a 76% bet frequency with QQ. Now that you know the true reasons to bet, your job is to start assessing each and every bet according to these two reasons. With enough practice, this type of thought process will become second nature and you will be able to make very accurate betting decisions on the fly. That’s all for this article! I really enjoyed writing this one, so I hope you enjoyed reading it! Feel free to comment below with any questions or feedback. Feel like testing your poker skills? Click here to take one of our poker quizzes. Good luck out there, grinders! NOTE: Want to make quick & profitable poker decisions in 30 seconds or less? Get the $7 Postflop Game Plan mini-course and start turning “I don’t know what to do here” spots into money-making situations. Learn more now!